This radio does not fit in a deluxe dash. The deluxe dash has fascia between the display and push-buttons. If your GTO has a deluxe dash click here. If you are unsure as to fitment, please contact us before ordering. 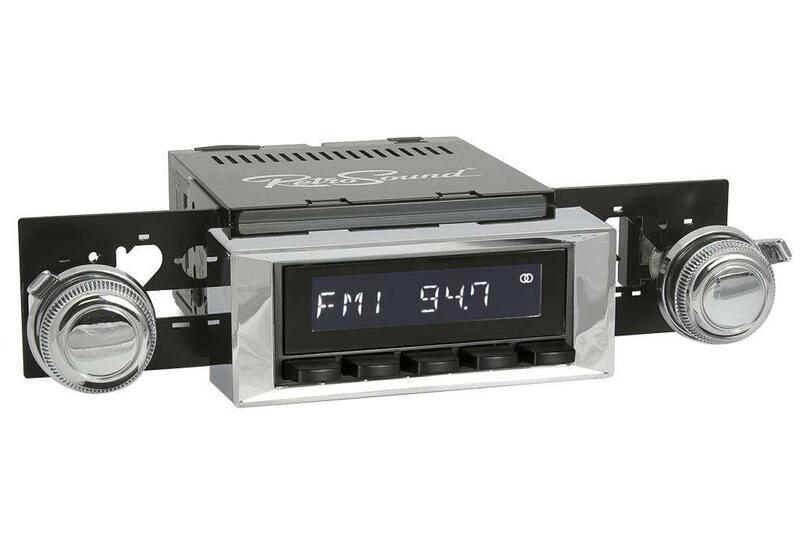 The RetroSound® Laguna RetroRadio™ looks like your original radio while offering the most modern technologies for your classic 1968-72 Pontiac GTO. Laguna features authentic push-button styling and an AM/FM tuner with 30 pre-sets. A rear-mounted auxiliary input is included to play portable devices such as iPod® or portable satellite radio. A built-in 18 watts x 4 channel RMS amplifier provided plenty of power to your speakers. Laguna features our patented InfiniMount adjustable shaft system to make installation easy in virtually any classic car or truck.